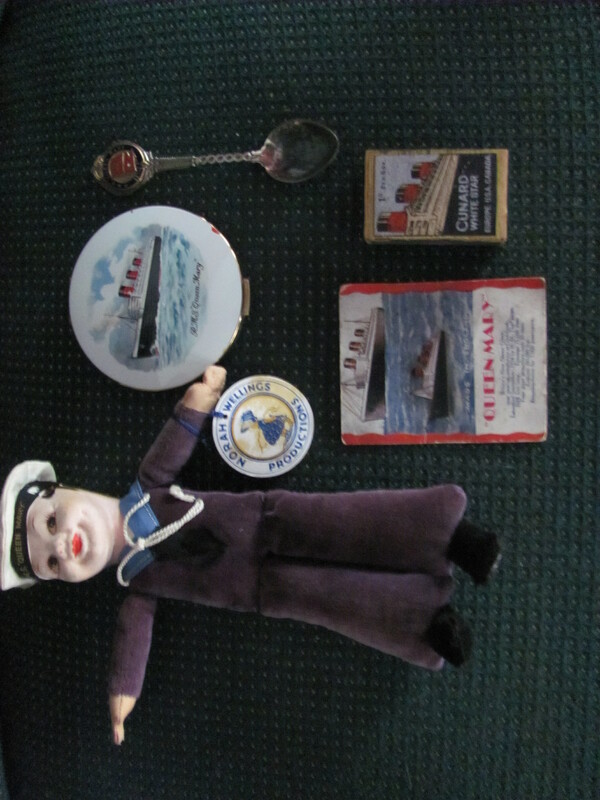 Above are just a few of the items available to passengers of Queen Mary in her gift shops. 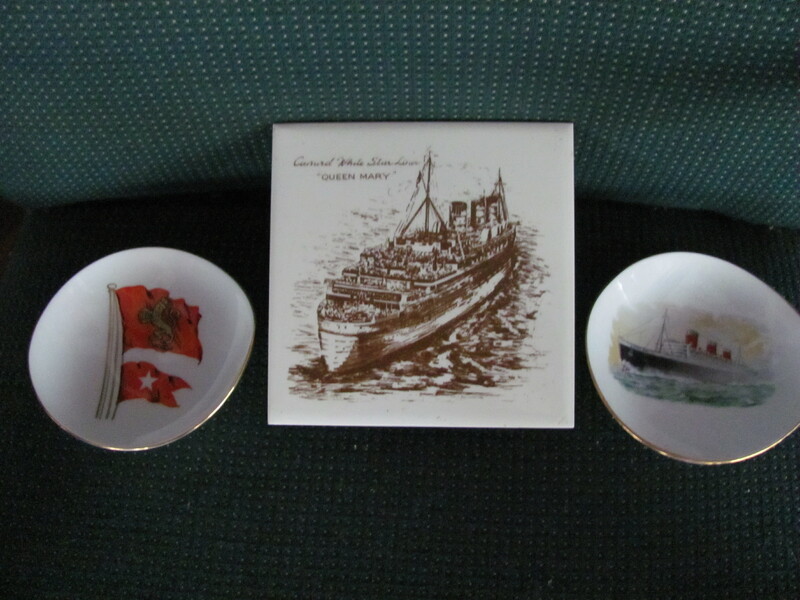 The plates and tile were pre-World War II given the fact that they are designated “Cunard White Star” which ceased to exist after the war when the line simply became “Cunard”. 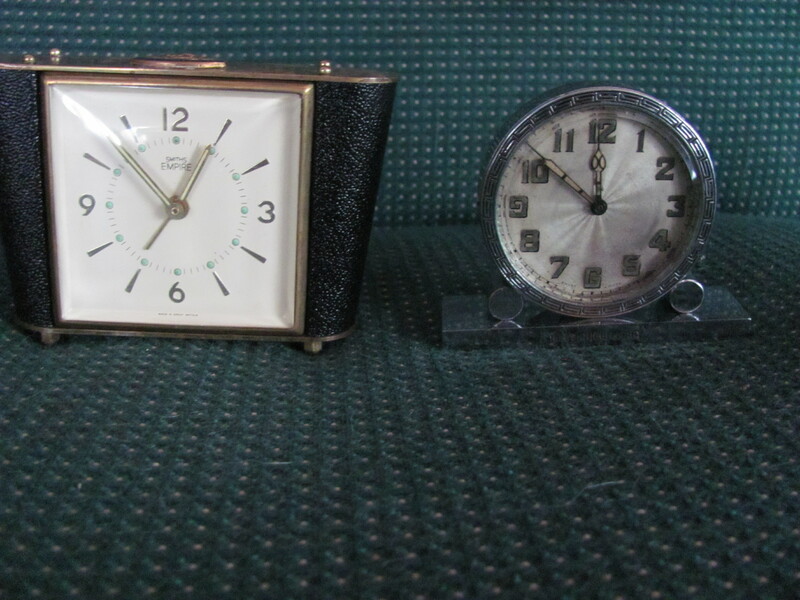 The clocks are sound, unsoiled, and made from the high-end clockmaker Empire Smith of England. 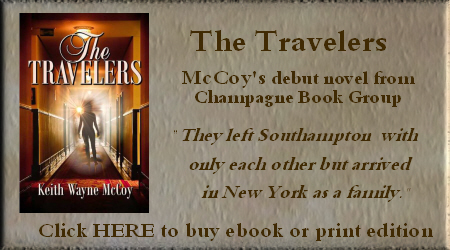 Unfortunately, they no longer keep time after nearly 8 decades which can be expected. The Norah Wellings doll was, of course, quite popular with little girls. 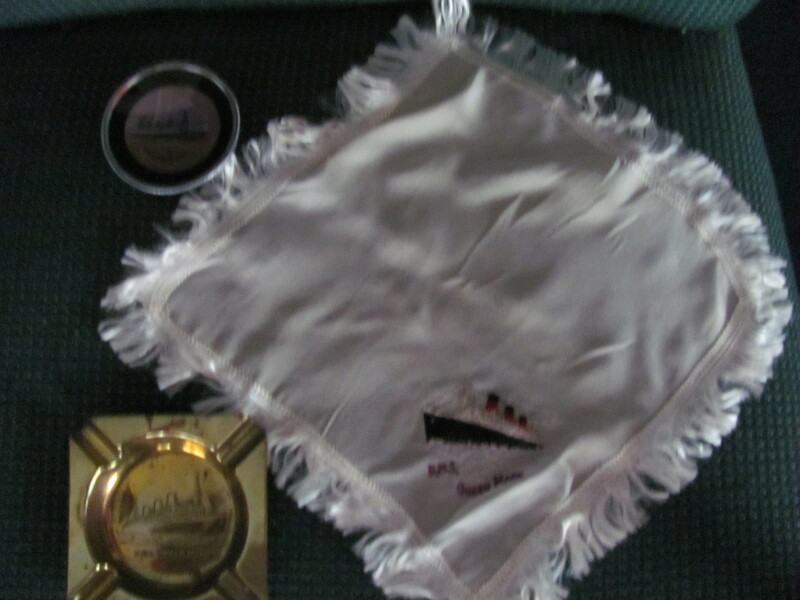 The linen handkerchief is in remarkable condition with no holes, repairs, or missing fringe. The small ashtray with the liner painted from the inside is actually mounted above the butterfly wings which are also very well preserved. The brass ashtray was black when I purchased it but it cleaned and shined beautifully. The silver spoon also displays the “Cunard White Star” stamp. The round compact is perfectly preserved and still has ancient powder and an unbroken mirror inside. 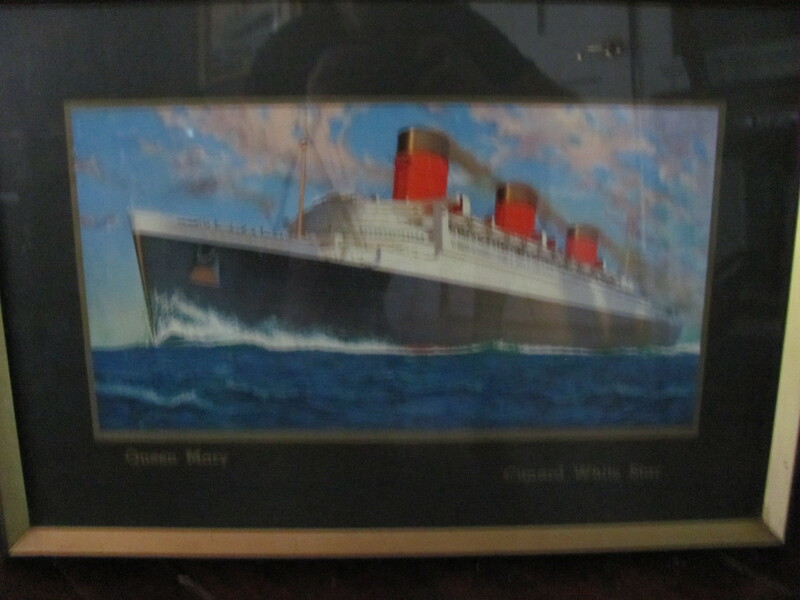 The framed print, once again designated “Cunard White Star” is one of my favorite, if not most favorite of the items I own from a gift shop. It is 34″ X 25″.